Mobile Phone Cross-Body Bag - Assorted Colors Only $14 Shipped! You are here: Home / Great Deals / Mobile Phone Cross-Body Bag – Assorted Colors Only $14 Shipped! Mobile Phone Cross-Body Bag – Assorted Colors Only $14 Shipped! 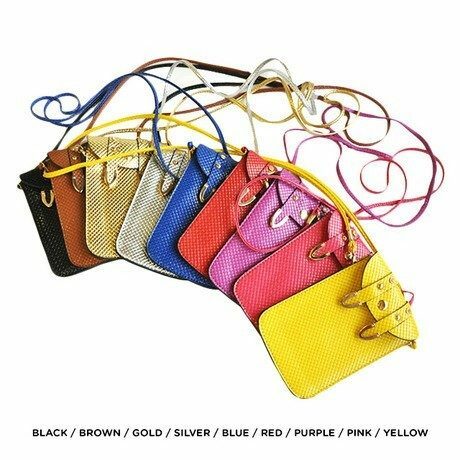 Mobile Phone Cross-Body Bag – Assorted Colors Only $12 Plus $2 Shipping! Sometimes you just want to run out of the house free from all the “stuff” you normally carry around! This bag will do the trick! The Mobile Phone Cross-Body Bag – Assorted Colors is Only $12 Plus $2 Shipping! Just big enough for the essentials and super cute!